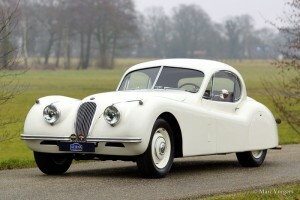 The Jaguar XK 120 was introduced in 1948, and caused an immediate sensation. The XK 120 had a top speed of 120 miles an hour (about. 200 km/h) and was the fastest production car for sale at that time. 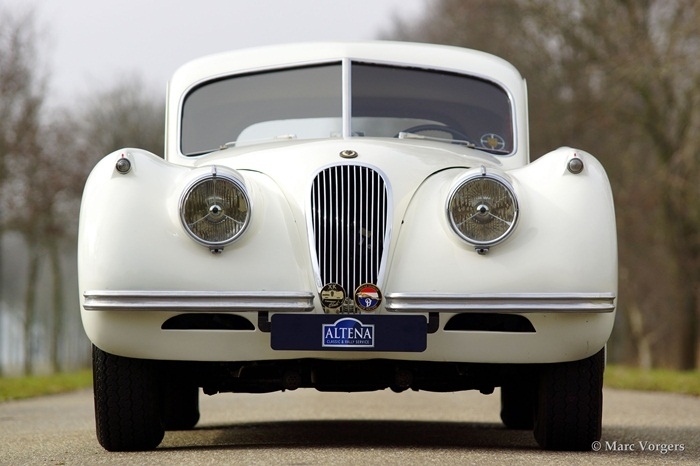 The XK 120 was designed by Jaguar’s boss and founder William Lyons. The bodywork had an almost sculptural design, with sober, well-chosen flowing lines and beautiful curves. With its exquisite long bonnet and elongated wing lines, the XK 120 has a very dynamic charisma. 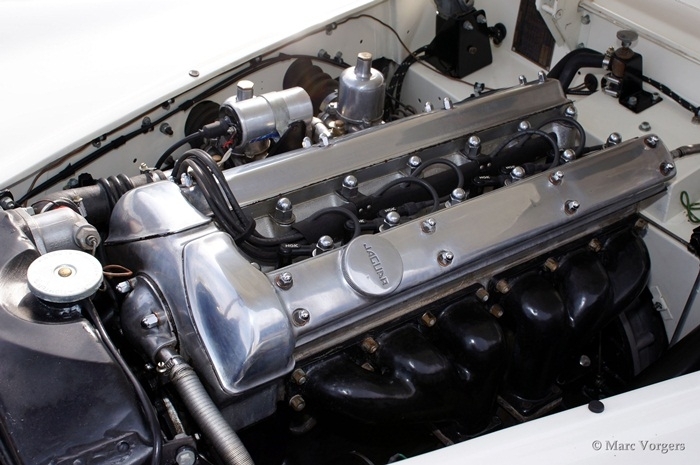 Together with the XK 120, the new Jaguar “XK” straight-six engine was introduced which, for the next forty years, was to attire all Jaguar models in ever improved forms. 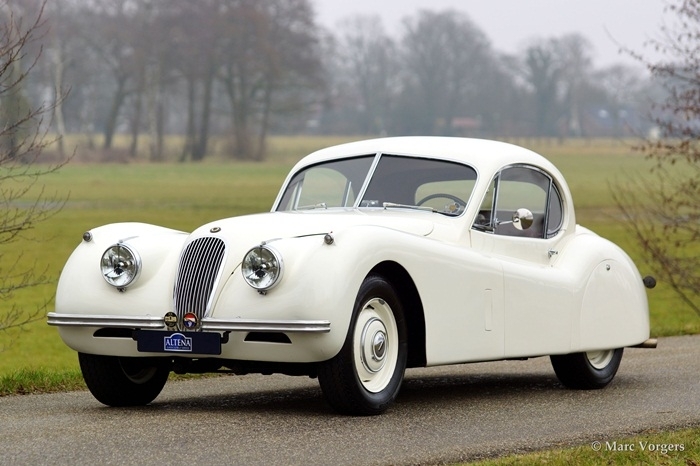 The XK 120 was available in three versions: as a roadster, the slightly larger DHC (Drop Head Coupe) and as the FHC (Fixed Head Coupe) with a fixed steel roof. The XK 120 was built until 1954 and was followed by the XK 140. 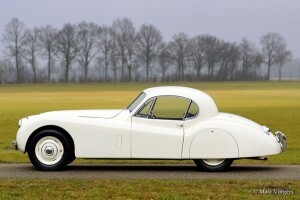 Jaguar XK 120 Fixed Head Coupe (FHC), year 1952. Chassis number 679417. Colour Old English White with a dark red leather interior. 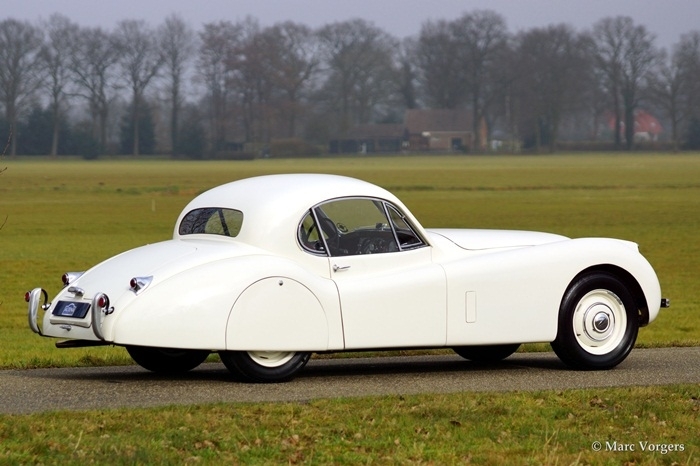 This very beautiful and very early Jaguar XK 120 FHC was shipped to Hornburg, Los Angeles USA on March 17, 1952. 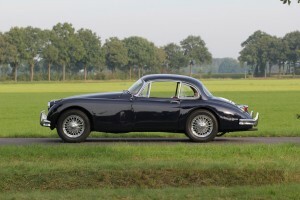 In the year 2005 the XK was imported to the Netherlands. 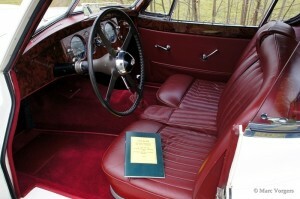 The automobile was extensively restored by a Jaguar specialist to concours (show) condition. 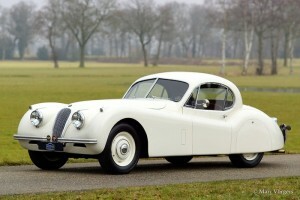 This is one of the earliest XK 120 Fixed Head Coupe’s. 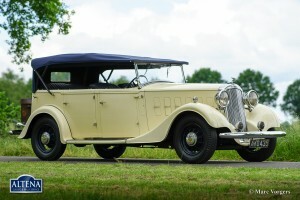 This can be seen in several details like the windscreen frame middle bar, the absence of windscreen washers, the single pipe exhaust which ends under an angle behind the left rear wheel. Further more the rocker covers are fitted with 16 instead of 22 bolts and the cylinder head is unpainted. In the interior we see a different model light switch and cigarette lighter with a little lens. The starter key lock is positioned higher in the dashboard. The restoration of this fine Jaguar XK 120 FHC is very well documented. A photo reportage is present as are documents and invoices. The originality has been carried over in the tiniest detail. 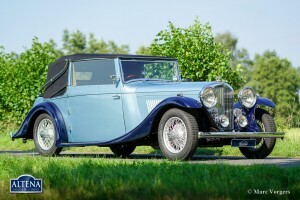 Some technical details however were modified to more modern standards, the engine was modified to run on lead free petrol, electronic ignition has been fitted and an automatic cooling fan has been installed. 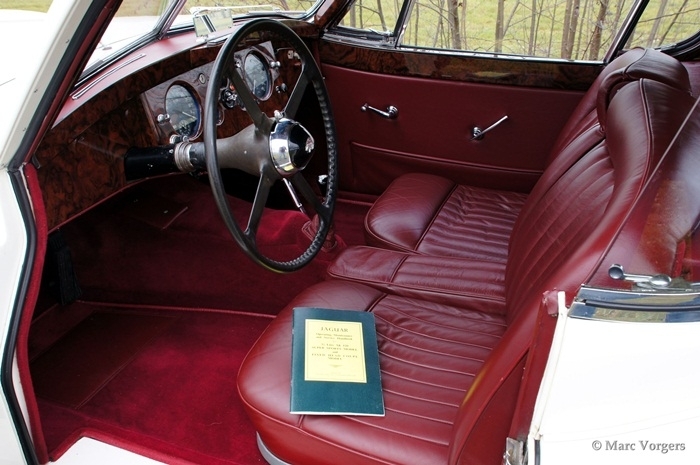 A Heritage certificate is present, the car has matching numbers and matching interior and exterior colours. 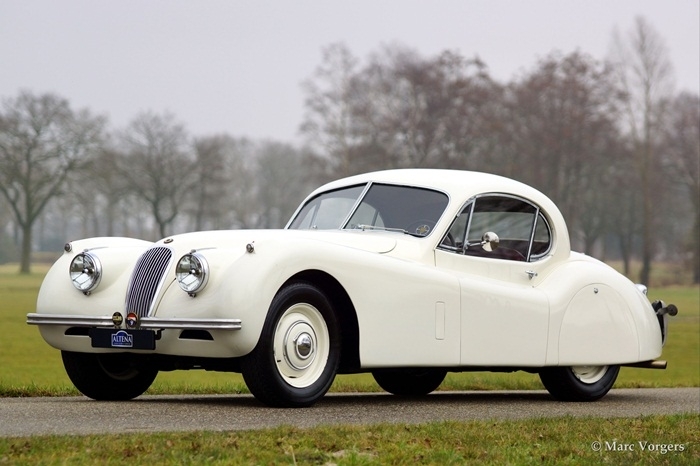 This superb Jaguar comes from a Jaguar collection.